This beautiful sweater is perfect for staying cozy and chic on a autumn or winter date night! We love the classic pullover paired with the soft knit material - it's a knockout combination!The material also has a little extra stretch for a comfortable fit! 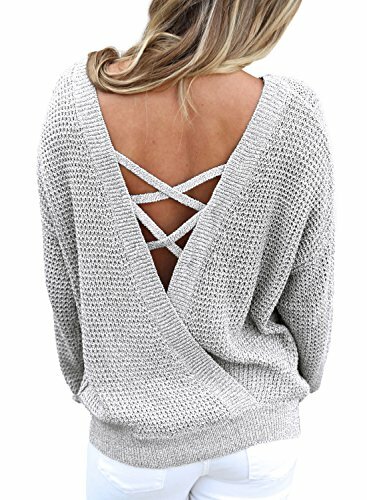 Paired with a cross back details, it's such a unique look! Made of high qualtiy material,soft and comfortable,please remember you get what you paid!